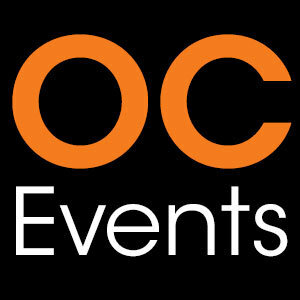 We’ve searched high and low all across Orange County to bring you the sweetest treats for Valentine’s Day. Whether you’re madly in love or just madly in love with dessert, there’s something here for every sweet tooth. From now through Valentine’s Day get valentines themed character macarons, like these jumbo Pusheen the cat macarons, at Bunjour Bakery in Laguna Hills. 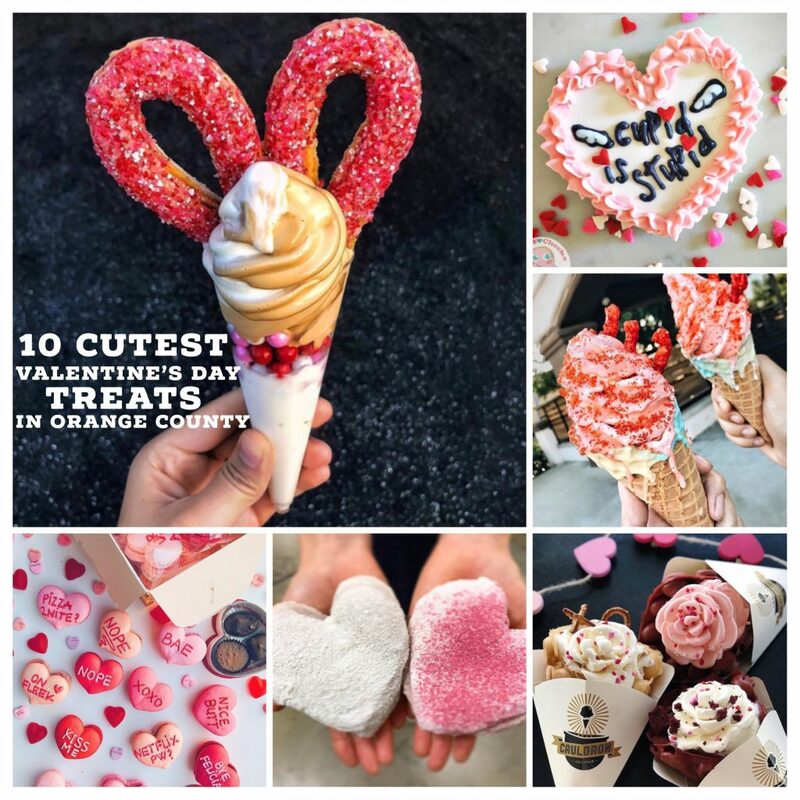 If you’re valentine would rather a bouquet of ice cream flowers instead of real flowers then look no further than Cauldron Ice Cream in Santa Ana. Their handmade ice cream is served in a Puffle cone, and then shaped into a beautiful flower, ready to be devoured. Here are some Valentine’s Day shots that the whole family can enjoy! The Dirty Cookie at Union Market is Tustin is making extra special cookie shots with a “conversation heart” theme. Will you be my valentine? ❤️💗 Preorder your Valentine's Day Cookie Shots in store today! Sweet, and salty, and spicy, oh my! Take your taste buds on an adventure with this “Hot as Hell” blend of vanilla ice cream and Hot Cheetos at Drill’d Ice Cream in Fountain Valley. If you’re feeling a little risque, surprise your Valentine with these naughty cookies from Blackmarket Bakery in Costa Mesa. Getting a little frisky over here for Valentines! Too much? . Decor: @jayyboss09 📷: @lizzynewm . . . #blackmarketbakery #dineoc #costamesa #thecampoc #sobeca #orangecounty #ocrestaurants #ocbakery #thatoccommunity #oclife #myfab5 #ocexplore #dailyfoodfeed #foodbassador #foodbeast #LAeater #jj_food #conquer_oc #occityguide #eatforfeats #forkyeah #letmeeatcake #YelpOC #nationsbestbites #dineoc #grubfiend #foodpornshare #poweredbybutter #pastrylove #shopsmall #hangrydiary . Forget about those chalky conversation hearts and woo your valentine with these macaron versions of the classic candy, available at Honey and Butter in Irvine and Costa Mesa. Valentine Churro Donut topped with ice cream?! Nothing says true love like sugar, sugar, and more sugar! You can find this sweet treat at Churned Creamery in Tustin, Cypress, Irvine, and Yorba Linda. These cute heart shaped donuts are topped with white chocolate powder and organic raspberry powder, the perfect way to get sugar covered with your sweetie! You’ll find these at Good Town Doughnuts in Costa Mesa. Two loops are better than one! The Loop Churros in Westminster have created the Love Loop Parfait for Valentine’s Day. This adorable dessert is totally customizable with your choice of ice cream flavors and toppings. Valentine’s Day isn’t for everyone and if you’re not really feeling it this year…then you’re sure to enjoy this “Cupid is Stupid” cookie from Sweet Cheeks Sugar Cookies in OC. If you want to surprise your valentine with something that definitely does not scream desperation, then how about these “Don’t Leave Me” donuts from Crafted Donuts in Fountain Valley.